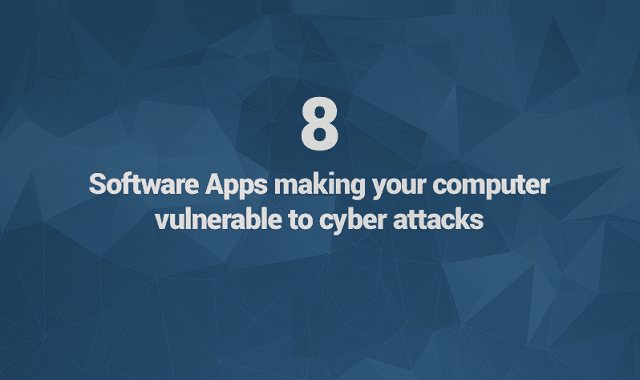 8 Software Apps Making Your Computer Vulnerable to Cyber Attacks #infographic ~ Visualistan '+g+"
You use the Internet every day, but I bet you never thought that cyber threats could be embedded in the software you use, right? Software is never perfect, just like the people who make it. So no matter how well built software is, it will still have bugs in it. Software bugs are easy to exploit, so cyber criminals go after the security holes they create. Those exact bugs make you vulnerable to cyber attacks! The infographic below, created by Heimdal Security, reveals the numbers behind the threats that lurk in your software and offers guidance how to keep yourself safe from them.